Michael Kors MK5004 Sunglasses are perfect for achieving a breezy, effortless cool while embracing the current fashion moment. Michael Kors has become a global luxury lifestyle brand known for it's elegant take on the American sportswear aesthetic. Full rim frame made from Monel; a copper and nickel metal alloy which is corrosion resistant, and retains its shape. Come in a Michael Kors protective carrying case with a cleaning cloth. The color is vibrant and popping. I look Hollywood in these babies. I bought these for my daughter for her birthday and she loved them! I previously owned these glasses so I knew I would love them. I wanted a new pair because the other were scratched and replacement lenses were less but I opted for a brand new pair. I love these for the summer! 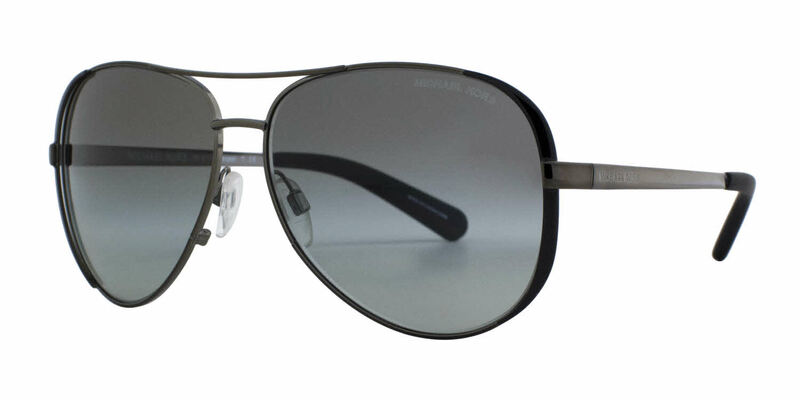 These Michael Kors sunglasses look stylish and chic. They don't provide a tremendous amount of filter, but great for slightly shaded areas, or when you just need a little protection. I love these shades! This was my second time buying them with the second pair as a gift to my daughter! Frames Direct has the best prices for eyewear. I will not go anywhere else!